Permaculture plots are becoming increasingly popular with people sick of paying over-inflated prices for groceries. You can’t be sure where your fruits and veg come from, and they are often loaded with pesticides and GMO’s.The art of permaculture involves creating an entire ecosystem in a small space. They are normally set up in gardens or allotments. It is more than just a place to grow vegetables, it incorporates a whole eco-system. After more than seven years of building & transforming our wonderful homestead whilst working full-time off farm, this year we have now made the complete transition to 100% on-farm life ! 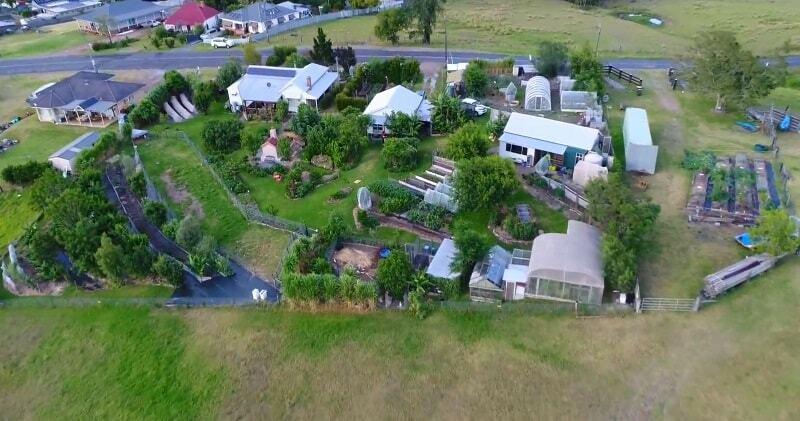 !Limestone Permaculture Farm in New South Wales, Australia is a great example of successful permaculture. The one acre plot is able to feed up to 50 families with fruits, vegetables, eggs and clean drinking water.The plot works by playing to different produces strengths. The practices that are used in farming the land help to regenerate the soil, rather than strip the land of nutrients. One of the practices that is extremely damaging to the soil but has been widely used for the last 50 years is ’tilling’. Tilling the soil rakes up the nutrients from the bottom layers to the top, so that they can be used in one go. While this might be great for the produce that is currently in the field, it renders it useless pretty quickly. A tour of Limestone Permaculture Farm in New South Wales, Australia. Brett Cooper manages the 1-acre property as a productive farm helping to feed around 50 families. 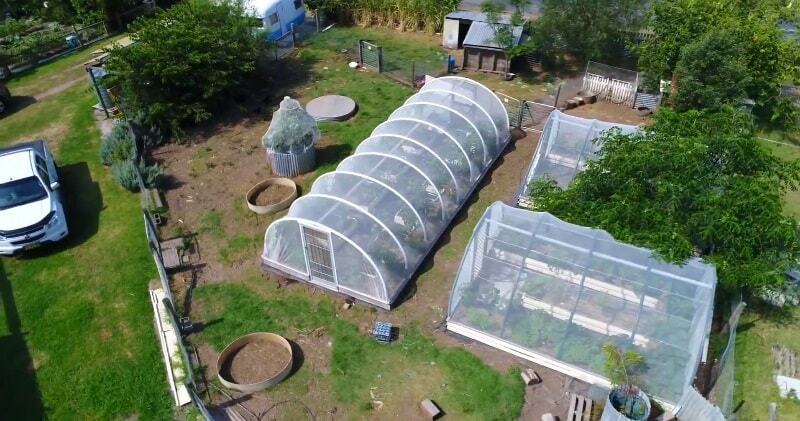 The tour includes a look at the orchard, caravan farm gate, chicken and duck areas, and shade house, and Brett talks about what brought him and his family to this complete change of lifestyle – in which they are thriving.